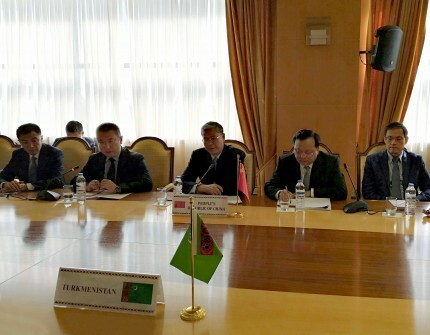 On October 25, 2018, the sixth council of Sub-committee on energy under Turkmen-Chinese Intergovernmental Committee on economic cooperation was held in Ashgabat. The heads and representatives of the ministries, agencies and private sector delegates in the field of oil and gas of the two countries have attended the council. The Co-chairman of the Sub-committee from China was Mr. Li Fanzun, the head of National Energy Administration of the People's Republic of China. The heads of delegations have noted that Turkmen-Chinese cooperation in energy is not only bilateral issue but also has positive impact on economic integration in Central Asian region and it was a significant factor ensuring regional security and sustainable development. In the course of the talks, the parties have discussed mutually beneficial cooperation areas such as oil and gas, petrochemical and electric power industries. In this regard, the sides have analyzed latest developments in the relations and discussed the implementation of bilateral agreements in energy sector.